Iran and the U.S.: New Confrontation, Accommodation, or Muddling Through? Since 2003, Iranian influence has deepened in Iraq through a wide array of Shiite militias. Several militia leaders and politicians spent years in exile in Tehran during Saddam Hussein’s reign in the 1980s and 1990s. One of Iraq’s most powerful armed groups, the Badr Organization, was formed in 1982 by Iraqi exiles to fight Hussein with the support of the Iranian Revolutionary Guard Corps (IRGC). In turn, Tehran has benefited from its longstanding political, military and financial investments in Iraq. Shiite militias have been institutionalized within Iraq’s armed forces; their leaders have also waded deeper into politics. In 2014, Iraq’s army crumbled as ISIS captured wide swaths of territory in the north, including Mosul, the country’s second largest city. Grand Ayatollah Ali Sistani, Iraq’s top Shiite cleric, issued a call to arms in a fatwa, a religious decree. Tens of thousands of men responded by joining new and old militias. More than 60 armed groups eventually merged under the umbrella of the Popular Mobilization Forces (PMF). By spring 2015, the PMF had some 60,000 fighters. In November 2016, Iraq’s parliament legalized the PMF, a move supported by Shiites but opposed by Sunnis, many of whom boycotted the vote. The law passed with 170 out of 328 possible votes. The PMF “would constitute something that looks like Iran’s Revolutionary Guard,” Raad al Dahlaki, a Sunni lawmaker, warned. By early 2018, estimates of its strength ranged from under 100,000 to up to 150,000. Not all fighters were registered with the PMF. Shiite militias have formed the majority of the PMF brigades, which also include Sunnis, Christians, and Turkmen. The Shiite groups fell into roughly three categories. The first includes militias that have received arms, training and financing from Tehran. Some have pledged allegiance to Supreme Leader Ayatollah Ali Khamenei. The second category includes militias loyal to Grand Ayatollah Sistani. A third category is represented by Saraya al Salam, or the Peace Brigades. It is loyal to Muqatada al Sadr, another Iraqi cleric who has connections to Tehran. The Peace Brigades are the latest incarnation of the Mahdi Army, a militia that received weapons from the IRGC and training from Iranian and Lebanese Hezbollah agents in the mid-2000s. Many militias are offshoots of the Mahdi Army. The PMF played an invaluable role in supplementing Iraq’s armed forces against ISIS, but it has become a source of tension among Iraqis, especially Sunnis and Kurds. “Iranian-backed components frequently seem to pursue their own agenda despite formally reporting to the prime minister,” according to Sarhang Hamasaeed, director of Middle East Programs at the U.S. Institute of Peace. Faleh al Fayadh, Iraq’s national security advisor, is the PMF’s chairman. Abu Mahdi al Muhandis, the deputy commander, has experience leading multiple militias. In October 2017, the PMF constituted the “single biggest danger” to the country’s independence, former U.S. Ambassador to Iraq James Jeffrey warned. The dual military and political role of PMF leaders has also been divisive. 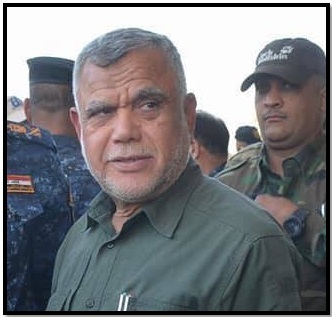 “If Iraq faces any danger, I will take up arms and defend it regardless of any political position I may hold,” the head of the Iranian-backed Badr Organization, Hadi al Amiri, pledged in April 2018. Iran has urged Iraq’s government to preserve the PMF despite significant ISIS losses. In mid-2017, Supreme Leader Khamenei told Iraqi Prime Minister Haidar al Abadi not to weaken or disband the PMF under U.S. pressure. “The Americans oppose the Popular Forces because they want Iraq to lose its main pillar of power,” Khamenei said. In March 2018, Abadi issued a decree entitling PMF fighters equivalent salaries and benefits as military personnel under the Ministry of Defense, further enshrining the PMF as a distinct entity. Technically, PMF members cannot participate in politics, Abadi declared in Executive Order 91 in February 2016. But more than 500 militia members or politicians affiliated with militias—many with Iranian connections—registered to run for parliament. “Iran stands with us in the fight [against ISIS], so it will be happy if we win in the elections,” said Mohammed Mahdi al Bayati, a Shiite lawmaker and senior Badr Organization leader, in February 2018. The defeat of ISIS contributed to the popularity of Iranian-backed militias. “These elections will be disastrous for this country,” said Saleh al Mutlaq, a former deputy prime minister. “The PMF will be a key player in the political process and this will give Iran a role and a word in forming the government and in choosing a prime minister.” Many displaced Sunnis in the north reportedly did not have the required paperwork to vote, a potential boon to pro-Iran candidates. Amiri (left), one of the most powerful PMF leaders, has emerged as a top contender for the premiership. To contest the election, he formed the Fatah (Conquest) Coalition with several other PMF groups, including the Badr Organization, Asaib Ahl al Haq (AAH), Kataib Hezbollah, and the Imam Ali Brigades (KIA). The following are profiles of the seven most powerful Iraqi militias with ties to Iran. The Badr Organization, the most powerful Shiite militia, is considered Iran’s oldest proxy in Iraq. Formed in 1982 in Iran to fight Saddam Hussein, it was initially funded, trained, equipped and led by the IRGC. It moved back to Iraq after the U.S. invasion in 2003 and integrated into the new Iraqi government. Its forces became the largest faction within state security forces, particularly the police. It competed in elections; its leaders joined the new government in cabinet positions. But it maintained its militia. Between 2003 and 2011, it occasionally fought U.S. forces. It also engaged in sectarian strife with Sunni rivals. After ISIS swept through northern Iraq in 2014, the Badr Organization—as part of the wider Popular Mobilization Forces—cooperated with American military advisers against the Islamic State. It was a pivotal force fighting Islamic extremism among Sunnis between 2014 and 2017. Badr and its affiliates reportedly include the 1st, 3rd, 4th, 5th, 9th, 10th, 16th, 21st, 22nd, 23rd, 24th, 27th, 30th, 52nd, 55th, and 110th PMF brigades. The Badr Organization has Tehran’s ongoing military support; its political wing also has close ties to Iran. It has fielded at least 10,000 fighters, with some estimates going as high as 50,000. Doctrine and Goals: The Badr Organization renders full authority to Iran’s Supreme Leader Khamenei. Secretary General Amiri described Khamenei as “the leader not only for Iranians, but the Islamic nation.” Amiri has worked closely with Qassem Soleimani, the commander of the IRGC’s elite Qods Force. The Badr Organization has sought to expand Shiite power in the security forces, through Iraqi elections, and by containing Sunni movements. The Badr logo resembles the IRGC and Lebanese Hezbollah emblems. An AK-47 is superimposed in front of a globe with a map of Iraq. The Quranic verse “And already had Allah given you victory at [the battle of] Badr” spans the top. Leadership: Amiri has been the commander of the Badr Organization—and a major figure in politics—since the movement returned to Iraq in 2003. In 2011, he was tapped to be Minister of Transportation. As leader of a prominent Shiite party, he is also a potential candidate to become a future prime minister of Iraq. Military: In the early 1980s, the Badr militia was established in Iran by Shiite defectors and Iraqi refugees who fled to Iran as well as captured soldiers during the Iran-Iraq War. Its first generation of fighters fought alongside Iranian forces against Saddam. It continued to receive weapons, training and funding from Iran after the militia returned to Iraq following the U.S. intervention that ousted Saddam in 2003. It initially vowed to disarm, but its death squads staged sectarian attacks on Sunnis from 2004 to 2006. Since 2014, the Badr Organization has been one of the largest wings of the PMF, which still coordinate with Iran’s Qods Force. Its role grew among the forces fighting in Tikrit, Fallujah and Mosul. Amiri was reportedly one of two Shiite militia leaders coordinating with Qods Force commander Soleimani during the 2015 battle for Tikrit. 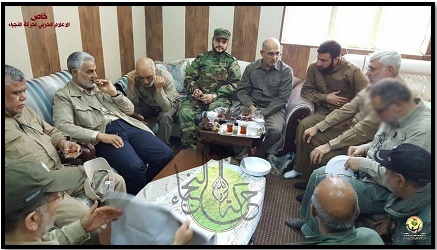 Soleimani visited Badr forces on the front lines. Political Wing: The Badr Organization—originally the Badr Brigade—was the militia of the Supreme Council for the Islamic Revolution in Iraq, an opposition political party also formed in Iran in the 1980s. In 2007, it rebranded as the Islamic Supreme Council of Iraq. ISCI identified as more nationalist and Iraqi; its politicians opposed Iran’s belief in the infallible authority of a supreme leader. But the movement fragmented over relations with Iran. In 2012, the Badr Organization—led by Amiri—split from the ISCI to preserve ties with Tehran. In 2014, Badr emerged as a prominent political party. It won 22 seats in the 328-member parliament and joined the ruling coalition government. It has held various cabinet portfolios, including Interior, Human Rights and Transportation. With the fight against ISIS waning, the Badr Organization announced the formation of the Fateh Coalition of Iran-backed Shiite movements –including Asaib Ahl al Haq and Kataib Hezbollah—to run in the May 2018 elections. The Fatah Coalition initially aligned with Prime Minister Haidar al Abadi, but later announced that it would run separately. Amiri suggested that he and Abadi might form an alliance after the elections to form a government. 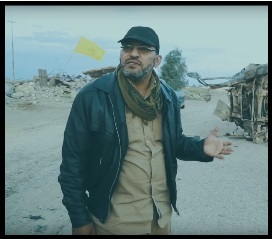 Kataib Hezbollah, or Brigades of the Party of God, the 45th brigade of the PMF, dates back to 2004, when the Shiite militias began attacks on the U.S.-led coalition. Five small armed groups united to form this pro-Iran militia in 2007. In 2009, the U.S. State Department designated it a terrorist organization with an “anti-Western establishment and jihadist ideology.” The Treasury Department sanctioned the group and its leader, Abu Mahdi al Muhandis. It was the only Iraqi Shiite militia designated a terrorist organization by U.S. State Department. After the 2011 U.S. withdrawal from Iraq, Kataib Hezbollah dispatched fighters to defend the Assad regime in Syria at the behest of Soleimani. Kataib Hezbollah joined the PMF and fought the Sunni extremists after ISIS swept through northern Iraq in 2014. Its forces continued to fight in both countries. “I will not shy away from mentioning the support of the Islamic Republic of Iran in terms of weapons, advising, and planning,” its leader, Muhandis said in March 2018. He also publicly thanked Lebanese Hezbollah for training its fighters in Iran. Doctrine and Goals: Kataib Hezbollah’s overarching goal, as stated on its website, is to set up an Islamic government based on the principle of velayat-e faqih, with Iran as a model. The group has stipulated, however, that it wants to bring about “radical changes” by working within Iraq’s constitution rather than outside it. The group looks to Supreme Leader Khamenei as a spiritual guide. His picture often appears on its website. Its promotional materials have featured Shiite motifs, such as Imam Hossein and the Zaynab Mosque and Shrine near Damascus. Leadership: Born in 1953, Jamal Jaafar Ibrahimi is better known by his nom de guerre Abu Mahdi al Muhandis. Muhandis means “the Engineer,” a reference to his original trade. He has been Kataib Hezbollah's senior commander since its founding. Muhandis joined the opposition Dawa party. Inspired by Iran’s revolution, he fled Iraq in 1979. He connected with the IRGC in the early 1980s. He headed the Badr Corps, which fought on Iran’s side during the 1980-1998 war against Saddam Hussein’s regime. He was also convicted in absentia--and later sentenced to death —for the 1983 bombing of U.S and French embassies in Kuwait. By the early 2000s, he had obtained Iranian citizenship and passed the leadership of the Badr Corps to Abu Mustafa al Sheibani. Muhandis returned to Iraq after the 2003 U.S. invasion. He was elected to parliament in 2005 but fled to Iran to avoid U.S. detention for past attacks on U.S. forces. From Iran, he facilitated the supply and training of Shiite militias. Before the creation of Kataib Hezbollah, he arranged for Mahdi Army fighters to Iran for sniper training in 2007. Muhandis returned to Iraq once again in 2014 and has since become one of the most powerful military leaders. After Prime Minister Abadi took office in September 2014, he tapped Muhandis as the PMF’s deputy commander. Kataib Hezbollah has participated in many major operations against ISIS. It fought in central Ramadi and Karmah as well as Amerli and Mosul in the north. 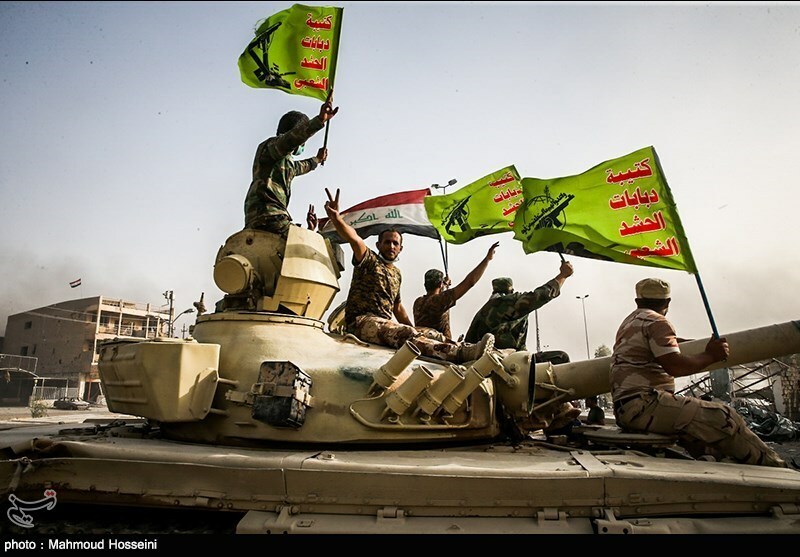 Kataib Hezbollah and the Badr Organization were the two main Shiite groups that fought ISIS in Tal Afar, near Mosul. Political Wing: Kataib Hezbollah is not affiliated with a political party. In February 2018, it announced that its members would not run in the May parliamentary election. Asaib Ahl al Haq (AAH), or the League of the Righteous, is an Iranian proxy and the third largest Shiite militia in Iraq. Also known as the Khazali Special Groups Network, it has also operated in Syria, fighting alongside Hezbollah to prop-up the Assad regime. 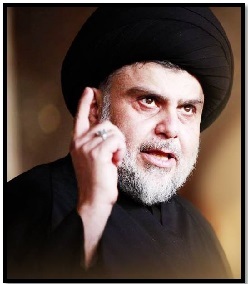 Founded in Iraq in 2006, AAH was an off-shoot of Muqtada al Sadr’s Mahdi Army. AAH was initially equipped, funded and trained by the IRGC Qods Force, with support from Lebanese Hezbollah, in Iranian camps. As of 2014, Iraqi intelligence reported that Tehran provided AAH up to $2 million a month. It became one of the largest and most prominent militias in the PMF. As it grew, the Iraqi militia copied Hezbollah’s model in Lebanon. It established political offices, religious schools and social services, largely in the Iraqi south and Baghdad. It also launched its own television channel, al Ahed. Its political wing, al Sadiqoon (or, the Honest Ones), first competed in parliamentary elections in 2014, when Shiite Prime Minister Nouri al Maliki invited it to participate. From its inception in 2006 until American troops withdrew in 2011, the Shiite militia claimed more than 6,000 attacks on U.S. and coalition forces. Its profile increased after ISIS swept through northern Iraq in 2014. It joined the new Popular Mobilization Forces as the 41st, 42nd and 43rd brigades. Al Sadiqoon, the party, claimed that it had up to 20,000 members including its militia in 2014. AAH had around 10,000 active fighters, with 1,000 to 3,000 deployed to Syria, according to testimony before the Senate Foreign Relations Committee in 2016. Doctrine and Goals: AAH was created to fight the U.S. military presence. It conducted rocket, mortar, artillery, and bomb attacks against the U.S. and its Western allies in the coalition. A 2012 report by the Institute for the Study of War said AAH rebranded as a “nationalist Islamic resistance movement” after the 2011 U.S. withdrawal. On its website, it has advocated a political system based on velayat-e faqih, or rule by Islamic clerics, as in Iran. It has accepted the full authority of Iran’s Supreme Leader Ayatollah Khamenei and embraced the ideology of revolutionary clerics such as the late Grand Ayatollah Khomeini, Grand Ayatollah Mahmoud Hashemi Shahroudi and Grand Ayatollah Kazim al Haeri. In its literature, AAH has also cited the teachings of early radical Shiite clerics in Iraq, such as Mohammed Baqr al Sadr (who died in 1980) and Grand Ayatollah Mohammed Sadiq al Sadr (who died in 1990). Khazali has hailed Iran and Lebanese Hezbollah for their support and sacrifices. The Islamic Republic “stood with us and provided advisers,” Khazali said in a 2017 speech. “It did not stand behind its offices and platforms, but it was with us and gave martyrs. We value this blood that fell on the land of Iraq.” In the same speech, he named Israel, the United States and Saudi Arabia as the three enemies of Iraq. AAH’s flag incorporates elements used in the IRGC and Hezbollah logos. It features an arm hoisting an AK-47 rifle with a map of Iraq in the background. Underneath is a book open to the Quranic verse: “Indeed, they were youths who believed in their Lord.” Two swords flank the image. Leadership: Qais al Khazali (left), a former student of Grand Ayatollah Mohammed Sadiq al Sadr, has led AAH since its founding. He was recruited by the IRGC Qods Force to head the Mahdi Army splinter group in June 2006. In 2007, he was arrested by U.S. forces for an attack on an Iraqi government compound in Karbala that killed five U.S. soldiers. Khazali’s group could not have conducted the attack “without the support and direction of the Qods force,” an American general said. Khazali was released in 2010 in exchange for the freedom of British hostage Peter Moore, who had been kidnapped in May 2007. After his release, Khazali took refuge in Iran. “We have a good relationship with Iran and there is mutual respect,” Khazali said in a 2015 interview. “It is no secret that Iran supports all the militias in this area and we are obviously one of them,” he added. Khazali has also had a personal relationship with IRGC Qods Force commander Soleimani. Military: After the 2011 U.S. withdrawal, AAH refused to surrender its weapons to the Iraqi government. In April 2014, Reuters reported that Prime Minister Maliki told senior advisers he was forming a new security unit to aid Iraqi forces in the fight against ISIS. AAH and Kataib Hezbollah members were reportedly the majority in the new unit. The Shiite militia was also pivotal in fighting ISIS for three years. In 2014, it tracked ISIS sleeper cells and worked to secure Baghdad. It also fought in Diyala Province and helped break the Islamic State’s siege of northern Amerli, about 100 miles from the Iranian border. It helped Tikrit in 2015 and Mosul in 2017. 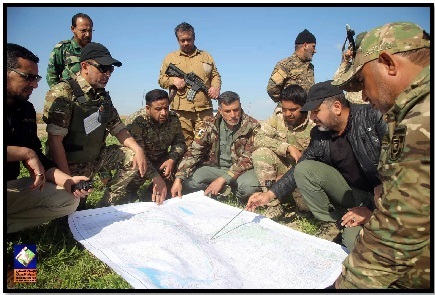 “The most dangerous areas in Iraq were assigned to Asaib Ahl al Haq to lead the battle because of the capability and professionalism of our fighters,” AAH spokesman Naeem al Aboudi boasted. With a common enemy in ISIS, the Shiite militia became a de facto ally to U.S. trainers and advisers who returned to Iraq to help the Iraqi Army fight ISIS. The group was willing to accept U.S. air strikes and its military presence, Aboudi said, but only under the supervision of Iraq. Political Wing: In 2011, the Khazali Network opened its first political offices in Baghdad, as well as southern Basra and Najaf, central Hillah, and northwestern Tal Afar. Portraits of Iran’s current and past supreme leaders hung in a Baghdad office. In 2012, AAH members distributed some 20,000 Khamenei posters. AAH’s political bloc al Sadiqoon did not participate in the 2013 provincial election. It ran in the 2014 parliamentary elections and won only one seat. Hassan Salem became al Sadiqoon’s parliament member and joined the Security and Defense Committee. In May 2017, Iraq’s High Electoral Commission approved the establishment of the Asaib Ahl al Haq Party. But AAH continued to use the Sadiqoon name in the run-up to the 2018 parliamentary elections. In December 2017, Salem announced the Sadiqoon bloc would join the new Mujahideen alliance headed by the Badr Organization to compete in the May 2018 parliamentary elections. It officially joined the group, renamed Fatah Coalition, in January. Salem ran as a Fatah Coalition candidate. Khazali expected the coalition to form the next Iraqi government. Harakat Hezbollah al Nujaba (HHN), or Movement of the Party of God’s Nobles, is an offshoot of AAH and KH. It is an Iraqi group that was originally formed in 2013 to support the Assad regime in Syria. In 2014, its mission expanded to fight ISIS. It became the PMF’s 12th brigade. HHN leaders have publicly acknowledged Iran’s support. “We do not hide the fact that the technical and logistical support comes from the Islamic Republic at all levels of training, arming and with the provision of advice through the presence of leaders and field advisers from the brothers in the Qods Force of the Revolutionary Guards,” Akram al Kaabi, the group’s leader, told Al-Monitor in 2015. Doctrine and Goals: HHN’s purpose is to defend “the homeland and holy sites, especially in Syria and Iraq,” from the “forces of evil and takfiri terrorism.” Protecting Shiite shrines, such as the Zaynab Mosque near Damascus, was the initial justification for deploying to Syria. Takfiri refers to extremist groups such as ISIS. “It makes no difference whether we’re in Iraq or Syria, we consider it the same front line because we are fighting the same enemy,” Bashar al Saidi, an HHN spokesman, told The Washington Post. He said the group would defend Shiites anywhere in the world. After the defeat of ISIS, in November 2017, HHN pledged to turn over its heavy weaponry to the Iraqi government. “We are not rebels or agents of chaos, and we do not want to be a state within a state,” Mousawi told reporters. HHN has espoused anti-Western and anti-Israeli views. It blamed the United States for the creation of ISIS. In December 2017, its leader, Akram al Kaabi, warned that HHN would fight U.S. forces if they moved against it in either Iraq or Syria. “We are waiting for you in Syria,” he said after the 2018 U.S. airstrikes on alleged Syria chemical weapons sites. Leadership: Sheikh Akram al Kaabi, a cleric, has been involved with multiple militias since 2003. Kaabi rose to prominence after the 2003 U.S. invasion. He and Qais Khazali fought the U.S.-led coalition as part of the Mahdi Army, but split with Muqtada Sadr’s forces in 2004. They founded a separate militia, the Asaib Ahl al Haq (AAH), in 2006 also to fight coalition forces. (In 2008, the U.S. Treasury sanctioned Kaabi for plotting attacks against Iraqi and the U.S. coalition.) Kaabi’s focus shifted to Syria in 2011, resulting in the creation of a third militia, the HHN, two years later. Kaabi has reportedly traveled to Lebanon and Iran many times for meetings or training. Hezbollah commander Imad Mughniyeh supervised his first military lessons. Kaabi first met Hezbollah leader Hassan Nasrallah in Lebanon in 2004. In 2015, HHN released a photo of the two men holding hands. Kaabi’s ties to Iran were evident during a week-long trip to Tehran, where he saw top officials, including Speaker of Parliament Ali Larijani and Ali Akbar Velayati, foreign policy advisor to the supreme leader. In December 2016, Kaabi held talks with Khamenei. Military: HHN claims to have 9,000 fighters divided in at least three contingents―two in Iraq and one in Syria. It has fought alongside Iranian and Lebanese Hezbollah in Syria since 2013. In 2016, it had some 3,000 fighters operating in Aleppo, Syria. It claims to have a fourth unit—the “Golan Liberation Brigade”—formed in March 2017 to capture the Golan Heights from Israel. HHN has offered military training in Lebanon and Iran. It opened its first academy in Iraq in January 2018. The training center in Iraq reportedly also provides recruits ideological, social and cultural programs. Political Wing: HHN is not tied to an active political party. 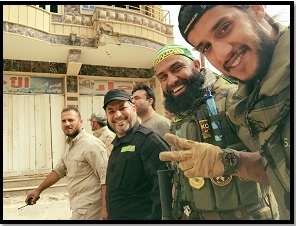 Kataib Imam Ali (KIA), or the Imam Ali Brigades, was established in June 2014. It operates primarily in Iraq but has also dispatched fighters to Syria. Its members have trained in Iran and with Hezbollah in Lebanon. Iranian and Lebanese Hezbollah advisers have also worked with the PMF inside Iraq. Within months of its creation, KIA joined the PMF as the 40th brigade; it battled the Islamic State alongside other PMF brigades in Amerli, Tuz, Diyala, Mosul and Tikrit. General Soleimani was on the frontline of the Tikrit offensive with KIA fighters several times. The group’s platform advocates “mercy, tolerance and courage,” but KIA has been accused of brutality against IS fighters —including torture, murder, and setting people afire. Although predominantly Shiite, the Imam Ali Brigades established and trained a small militia of some 300 Syriac Christians called Kataib Roh Allah Issa Ibn Miriam, (or The Brigade of the Spirit of God Jesus Son of Mary) in December 2014. Doctrine and Goals: KIA took its name from Imam Ali, the Prophet Mohammed’s cousin, son-in-law and the fourth caliph (from 656 to 661 AD). KIA has recognized the absolute authority of Iran’s supreme leader. Similar to Kataib Sayyad al Shuhada, KIA has deployed fighters to protect Shiite shrines and mosques in Syria, including the Zaynab Shrine in Damascus. The KIA website features a three-part series on “jihad of the soul”—on thinking, determination and the self—in a section on the Culture of Resistance. It advocates personal embrace of Sharia law. KIA’s link to Iran is evident in its logo, which is similar to the emblems of the IRGC, Hezbollah, and Asaib Ahl al Haq. An AK-47 rifle is superimposed on a map of Iraq, with two swords on the sides. A Quranic verse— “And those who strive for Us, We will surely guide them to Our ways” is emblazoned across the top. Leadership: Shebl al Zaidi (center left) has been KIA’s secretary general since its creation in 2014. He was originally a follower of the Sadrist movement and a commander in the Mahdi Army. He was known as “one of its more vicious sectarian leaders,” according to the Washington Institute. Zaidi was jailed in 2007 but was released by the Iraqi government in 2010. He helped found KIA in 2014. In late 2016, he was seriously injured in a mortar attack near Mosul. His wounds were a “badge of honor,” he said. Abu Mahdi al Muhandis, the nom de guerre of Jamal Jaafar Ibrahimi, co-founded KIA. But he soon became the PMF deputy commander. Ayyub Faleh Hassan al Rubaie (center right), whose nom de guerre is Abu Azrael, became one of the KIA’s most famous commanders in 2014, after his social media posting of a clash with the Islamic State reached 2 million views. He earned the nickname “Angel of Death” or “Iraq’s Rambo” for his ruthless attacks on ISIS members. His slogan “illa Tahin,” or “I’ll grind them to dust,” went viral. Abu Azrael trained in Iran, Lebanon and Iraq. In a 2015 interview, Abu Azrael admitted Iran’s role in training KIA fighters and acknowledged his dedication to its supreme leader. “If the Imam [Khamenei] tells us to march on Saudi Arabia, on Mecca, we’ll go. If we have to go to Yemen to help our Houthi brothers, I’ll go,” he said. In mid-2017, KIA disavowed him after a video showed him boasting about destroying a Sunni neighborhood and burning an ISIS fighter to death. Military: KIA has collaborated with other Iranian-backed militias in major operations against the Islamic State in both Iraq and Syria. It fought alongside some 15,000 Shiite fighters from the Badr Organization, Asaib Ahl al Haq, Kataib Hezbollah and Harakat Hezbollah al Nujaba in the battle to liberate Mosul. It was strategically the most important group in the Mosul campaign, according to Muhandis. Political Wing: In December 2017, a senior KIA officer said the 40th Brigade forces and leaders would not enter politics or participate in elections. But a month later, KIA established the Professionals for Reconstruction Party to compete in the May 2018 elections, according to local and foreign media. It joined the Fatah Coalition. Kataib Sayyad al Shuhada (KSS), or The Masters of the Martyrs Brigade, is a militia established in May 2013 to fight alongside the Assad regime in Syria. 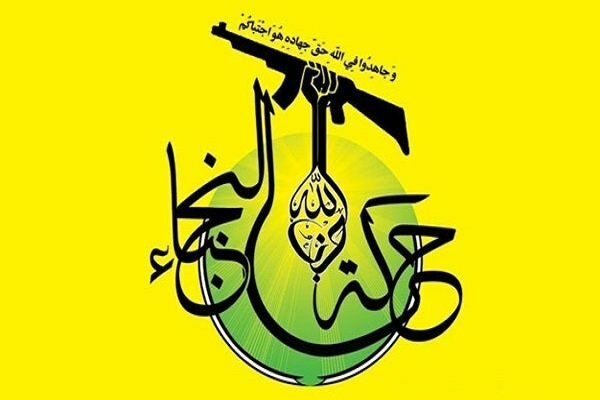 Similar to Harakat Hezbollah al Nujaba, KSS expanded its operations to Iraq after the rise of the Islamic State in 2014. It soon joined the PMF and became the 14th Brigade. By 2017, KSS was estimated to have more than 2,000 fighters. KSS has been supported and funded by the IRGC since its inception. It has worked with Soleimani, the Qods Force commander, and has coordinated militarily with other Shiite PMF militias, such as the Badr Organization and Kataib Hezbollah. KSS was reportedly formed by Badr and Kataib Hezbollah. The Martyrs Brigade reveres Iran’s current and former supreme leaders as well as Hezbollah chief Hassan Nasrallah in Lebanon and the late Grand Ayatollah Mohammed Baqir al Sadr, a radical Iraqi cleric. Ayatollah Khamenei’s picture has been featured on its website home page. Since 2014, KSS has been most active against ISIS in northern Salahuddin province, but it also fought in Anbar and Nineveh provinces. In January 2016, KSS clashed with an Iraqi Army unit at a checkpoint outside Basra. Following the skirmish, Prime Minister Abadi sent in an Iraqi Army armored brigade. KSS joined with other Iranian-backed groups—such as Kataib al Imam Ali, the Badr Organization and Harakat Hezbollah al Nujaba—to force the Army brigade’s withdrawal two days later. The move highlighted the power Iran’s militias exert in Iraq. KSS also has a more ambitious regional agenda than other Shiite groups. It has called liberating Jerusalem a “sacred goal” and seeks “relentlessly” to end the occupation of “Zionist and Western” entities. “Our adherence to join the PMF came from our love of defending the homeland and the holy sites,” Walai stated in a 2016 interview. One of the Martyrs Brigade’s main goals is to protect Shiite shrines and mosques worldwide, but it is particularly committed to the Zaynab Shrine in Damascus, Syria. KSS has also been outspoken against Saudi Arabia. In 2015, it threatened to “strike and destroy” Saudi Arabia after the kingdom condemned Shiite cleric Nimr al Nimr to death sentence. “The rulers of petroleum will learn that the followers of Ahl al Bayt [family of Mohammad] will not be content with defeating [the Saudi government] in Baiji, Ramadi, and other Iraqi areas, but will take the battle to the spider’s own nest,” the KSS statement said. Leadership: Abu Mustafa al Sheibani was a co-founder and former KSS leader. In the late 1980s, he had lived in Iran, where he fought with the elite Qods Force against Saddam Hussein. After he returned to Iraq in 2003, he ran a network of fighters who challenged U.S., British and Iraqi forces. He was put on Iraq’s most wanted list in 2006. In 2008, the United States formally listed Sheibani as a Specially Designated Global Terrorist. The U.S. Treasury Department charged that Sheibani commanded “several pro-Iranian insurgent groups in southern Iraq” and that the IRGC was sending funds and weapons to Sheibani’s network. Abu Ala al Walai (above), the nom de guerre of Hashim Banyan ul Awliya, has been secretary general of the Martyrs Brigade. According to his personal website, he fought against Saddam Hussein “during his unjust rule.” He was a member of Iran-backed Kataib Hezbollah before joining KSS. Falih Khazali has been another notable figure in KSS. A former secretary general, he was the official KSS spokesperson as of December 2017. Khazali gained fame in Syria in 2013 when he lost an eye fighting for the Assad regime in Damascus. In 2014, he won a seat in the Iraqi parliament. In May 2017, Khazali met with the Iranian consul in Basra to celebrate the reelection of Iranian President Hassan Rouhani. “The large turnout at the ballot boxes is proof of the Iranian people’s awareness and their wise leadership,” Khazali posted on his Facebook page. 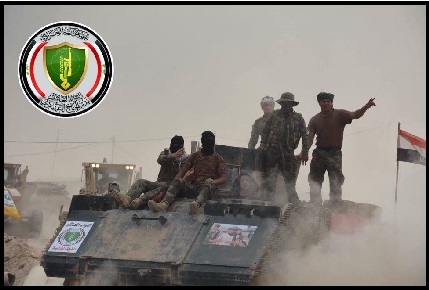 Military: KSS participated in smaller operations in Nineveh, Salahuddin and Anbar provinces against ISIS under command of the Popular Mobilization Force. It also fought in the 2015 Tikrit offensive. Qassem Soleimani was also on the frontlines. In August 2017, KSS accused the United States of bombing its forces along the Iraq-Syria border. A spokesman said 36 fighters were killed, another 75 wounded; several IRGC members, including Hossein Qomi, a top commander, were also killed. The U.S.-led coalition denied responsibility. In Syria, KSS has been active around the southern suburbs of Damascus. In 2015, it fought alongside Hezbollah and the IRGC in the southern governorates of Darra and Quneitra, an offensive was chronicled in a documentary. “Fighting in Syria and Iraq is one front for us with Lebanese Hezbollah, Iranian military units and other volunteer brothers,” spokesperson Falih al Khazali said in a 2017 interview with The New Arab. Political Wing: KSS has opened more than a dozen political offices, including in Baghdad, northern Kirkuk, southern Najaf and Karabala, and southeastern Basra, according to its website. Khazali ran for parliament in Basra in the 2014 parliamentary elections. He competed on Prime Minister Maliki’s list and was the only KSS member to be elected. In 2017, KSS was one of a handful of Shiite militias that forged a new political coalition, led by the Badr Organization, to compete in elections. “The Islamic Resistance factions that defended the unity of Iraq are the best to preserve the state, sovereignty and political gains obtained by Iraq after 2003,” Khazali said in a December 2017 television interview. Walai, the KSS secretary general, said the militia had a right to run because it had helped to prevent the collapse of Iraq’s political system. As of early April 2018, KSS had two representatives running as candidates in the Fatah Coalition. Mahdi Ali al Moussawi al Maksousi was running in the Baghdad governorate and current parliament member Faleh Khazali in Basra. Muqtada Sadr, a fiery cleric, formed Saraya al Salam, or the Peace Brigades, in June 2014 to counter ISIS. Many of its fighters were previously members of Sadr’s infamous Mahdi Army, a militia that targeted U.S. forces and other Iraqi groups in the mid-2000s. The Peace Brigades make up the PMF’s 313th and 314th brigades. The Peace Brigades—and its previous incarnations—have had a rocky relationship with Iran. In 2007, Sadr fled to the Islamic Republic to avoid arrest by U.S. and Iraqi forces; he claimed he was continuing his religious studies. In 2008, he ordered the Mahdi Army to suspend operations after bloody battles with Iraqi security forces and rival factions. Sadr returned to Iraq in early 2011. He increasingly cast himself as an Iraqi nationalist interested in mitigating sectarian tensions. He grew increasingly critical of Iran. By 2016, Tehran had cut off much of its support for the group, according to a Sadrist official. The group has reportedly funded itself through donations from a large network of mosques. After ISIS captured Mosul, Sadr reconstituted the Mahdi Army, as the Peace Brigades. In June 2014, some 50,000 armed men paraded through Baghdad in the group’s biggest show of force since 2008. The group draws heavily on the Shiite dogma to fight oppression, with the martyrdom of Imam Hussain as a model. But the Peace Brigades, unlike some other Shiite militias, does not view Khamenei as its spiritual leader. Sadr and his followers have criticized other groups, such as Asaib Ahl al Haq, for prioritizing Iranian interests. The group opposes foreign intervention in Iraq and Iraqi involvement in other countries, such as Syria. This is a major point of disagreement with Iran and other Shiite militias. The Peace Brigades is especially hostile towards the United States, the United Kingdom and Israel, collectively referred to as the “deplorable triad” on its website. The militia’s logo features a dove as well as a fighter holding an Iraqi flag and a rifle. Leadership: Sadr is one of the most powerful figures in Iraq, though he has never held a position in government. Muqtada is the youngest and sole surviving son of Grand Ayatollah Mohammed Sadiq Sadr, who was allegedly assassinated by Saddam Hussein’s agents in 1999. He inherited a large network of charitable institutions. After the 2003 U.S. invasion, Sadr began building a mass following by providing social services to the urban poor. It became known as al Tayyar al Sadri (the Sadrist Movement). In his fiery Friday sermons, Sadr spoke out against the U.S.-led occupation and the new Iraqi Governing Council. The movement called for an Islamic state and enforcement of Islamic law. It targeted Internet cafes, liquor stores, shops that sell music and movies, and anything else deemed un-Islamic. Sadr, accused by critics of being beholden to Tehran, told Al Jazeera that he did not always agree with Iran’s Supreme Leader—and had even told Khamenei that he did not approve of Tehran pursuing its “political and military interests” in Iraq. Sadr again tested Tehran’s patience in a visit to Saudi Arabia in July 2017. He met with Crown Prince Mohammed bin Salman, one of the region’s most outspoken critics of Iran. “Sadr’s visit demonstrated to Iran — and to Iran’s allies and proxies in Iraq/Sadr’s political rivals — that he not only has options, but he can even push back against Iran and has the power to potentially hurt Iranian interests in Iraq,” according to Fannar Haddad. Sheikh Kadhim al Issawi has been the military commander of the Peace Brigades since it was formed; he was previously chief of security for the Sadrist Movement. A lifelong friend of Sadr, Issawi climbed the ranks of the Mahdi Army and another successor militia, the Promised Day Brigade. 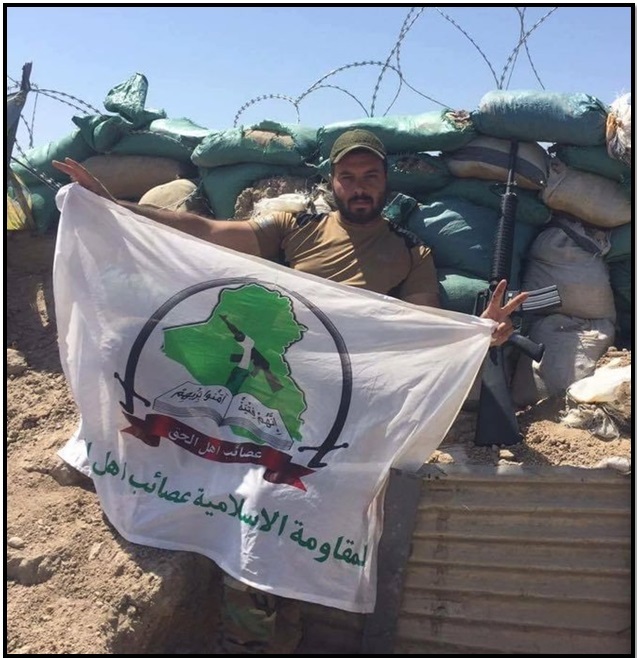 As commander of the Peace Brigades, he led operations in Samarra and Amerli against ISIS. Videos of his speeches and tribute songs have been viewed hundreds of thousands of times on YouTube. Military: The Peace Brigades claimed more than 100,000 had volunteered to fight, but that it lacked funds and equipment to train them. It registered some 3,000 fighters with the PMF, but is estimated to have another 15,000 fighters outside of the PMF. The Peace Brigades deployed on the front lines against the Islamic State. In 2014, it played a key role in stopping the ISIS advance on Samarra, north of Baghdad, recapturing Jurf al Sakhar, a Sunni area south of Baghdad, and liberating Heet in western Anbar province. It has also had a presence in Karbala and areas north of Baghdad. In February 2015, Sadr recalled the militia from the front lines after several reports of other Shiite militias massacring Sunni civilians. It subsequently played a largely defensive role. In 2018, its main deployment was in Samarra. Tensions with Baghdad flared in March 2018 when Peace Brigade checkpoint guards fired on an Iraqi Army convoy, killing a brigadier general and two guards. After ISIS was defeated in December 2017, Sadr called on PMF militias, including his own fighters, to disarm to help the central government impose its control over all of Iraq. Political Wing: The Sadrist Movement, founded in 2003, was initially more of a social movement than a religious or political party. It championed the rights of the Shiites, Iraq’s largest population group long repressed by Sunni rulers. Sadr often played the role of kingmaker in Iraqi elections. In the 2005 parliamentary elections, the Sadrists ran as part of the United Iraqi Alliance of predominantly Shiite parties, including Dawa and the Supreme Council for the Islamic Revolution in Iraq, two major players with long-standing ties to Iran. The coalition won 128 of 275 seats, 30 of which went to the Sadrists. In 2006, Sadr used his clout to push through his preferred candidate for the premiership, Ibrahim al Jaafari, reportedly threatening civil war among Shiites. In the 2010 parliamentary elections, the Sadrists won 39 seats as part of the National Iraqi Alliance. In the 2014 elections, Sadrists secured 34 seats, or around 10 percent of parliament. For the May 2018 elections, Sadr adopted a bolder strategy—not based on cooperation with pro-Iran militias. He even called on the government to prevent PMF leaders from running in the election. To inject “new blood” into politics, he banned all incumbents in his party from running again. Sadr instead allied with the Iraqi Communist Party, a risky move given his religious base. He may have further jeopardized his relationship with Tehran. “We will not allow liberals and communists to govern in Iraq,” Ali Akbar Velayati, the supreme leader’s top advisor for foreign policy, warned in February, during a trip to Baghdad. Garrett Nada is the managing editor of "The Iran Primer" and "The Islamists" websites at the U.S. Institute of Peace. Mattisan Rowan is a program assistant at the U.S. Institute of Peace. Click here for more information about Iran's role in Iraq. Shop through AmazonSmile and support our work!